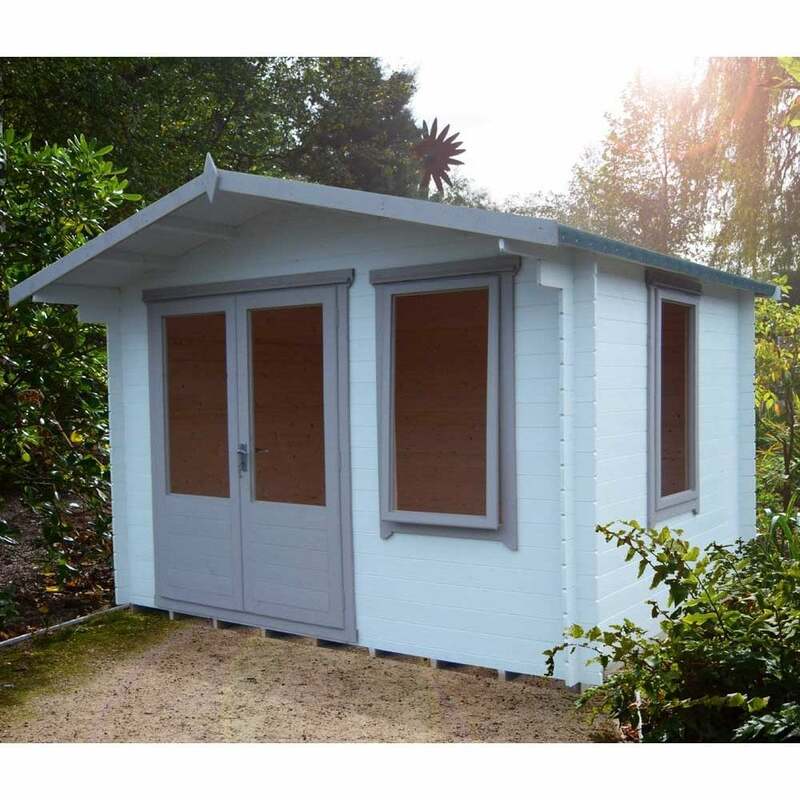 Shire Berryfield Log Cabin features Large Double Doors and is a very attractive garden log cabin that is ideal for spending time in the garden to work or simply relax. Simple styling mean that the door and window can exchange places on the front wall to suit your needs. The large open glazing allows in lots of light and invites the use of curtains or blinds to create a light airy log cabin in the garden. In common with most Log Cabins this Log Cabin is Delivered untreated and will require the application of a Good Quality Timber Preservative as soon as Possible. Colours Shown are for Illustration only.